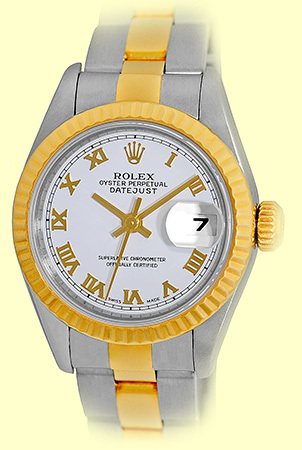 White Dial with Yellow Gold Hands and Roman Numerals, Center Sweep Seconds Hand, Date Indicator. 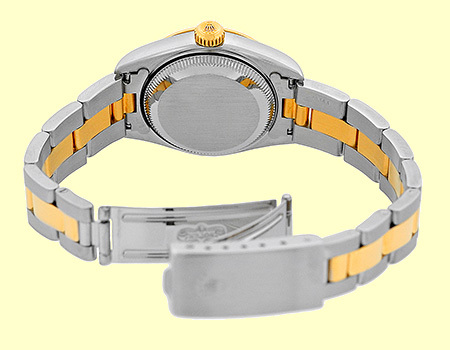 18K Yellow Gold Fluted Bezel, Quickset Movement, Sapphire Crystal. 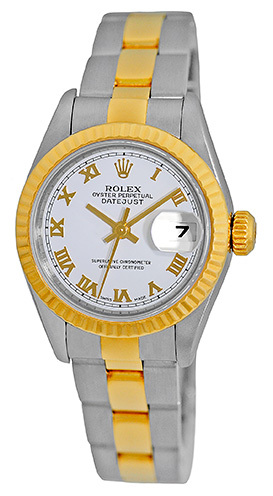 Matching Stainless Steel & 18K Yellow Gold Rolex "Oyster" Conventional Clasp Bracelet. U Serial Number, Circa 1997-1998 Production. 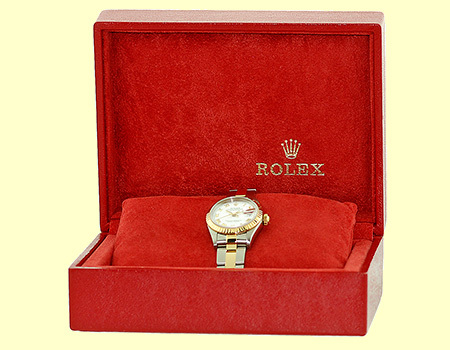 Like New, Perfect Condition with Rolex Box, Booklet, Hang Tag and complete with Capetown's Lifetime Warranty!! 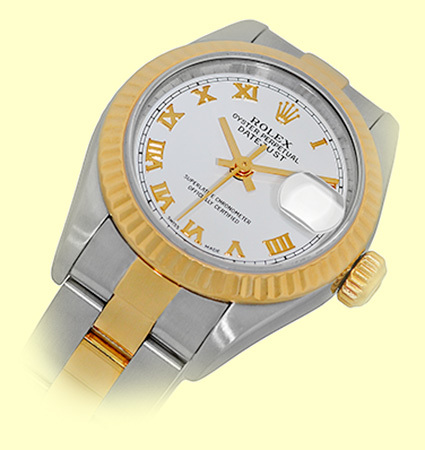 Clic k here for the benefits of buying your new or pre-owned Rolex at Capetown.